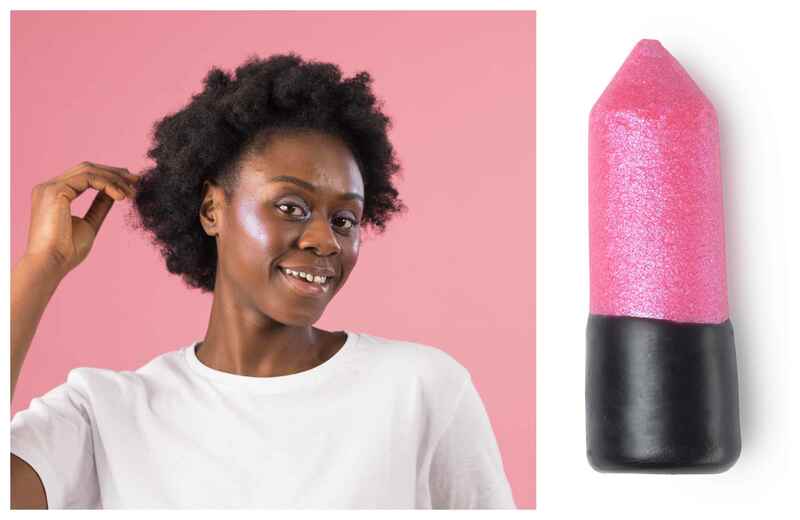 High street giant Lush is adding another item to its packaging-free range - and this time it's a vegan highlighter stick. The Snow Fairy Glow Stick, a solid highlighter, will be available online (and in a selection of Lush shops) from tomorrow (December 1). It is made from coconut and argan oils, with perfumed wax, and has lilac, blue and pink sparkles. "This limited edition vegan, plastic-free solid highlighter...will help you get your glow on wherever and whenever you need it," Lush told Plant Based News in a statement. "As if by magic, hydrating coconut and argan oils will soften skin, while Snow Fairy perfumed wax transports you to cloud nine with its sugary, candyfloss sweetness. "Organic, extra virgin coconut oil sourced from Nias, Indonesia, is light on the skin, but not in benefits. 10 percent of the supplier’s profits from this skin-softening oil, fund social amenities on the island. As you wave this highlighter wand across your skin, you’ll get a hint of Snow Fairy’s enchanting essence too."